When we become more conscious of what food does to our body, especially when we are in search of wellness, we tend to cut out a lot of old favourites. Choosing a long and healthy life over your famous mac ’n’ cheese or coffee and muffin routine is an easy choice, right? For many, it is at first, but food also brings us comfort and conjures up fond memories, and it is hard to let this all go, long term. 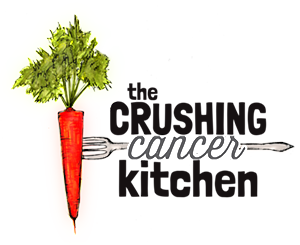 And then if we temporarily fall off the wagon, the guilt and visualization of the delicious buffet that you have just set up for your cancer cells, really doesn’t help anybody. For this reason, from time to time, I am going to include a healthier alternative to something we might be missing from our lives, to keep us from feeling the guilt, and to help us to create new, fond food memories. New soul food, if you will. Years ago when my Mom was first diagnosed (around the time my sister announced she was pregnant with the first grandchild in the family), we overhauled her (all of our) diets, and among many other things, cut out all sugar. She grew up with a Granny who she remembered so fondly baking with as a kid, and wondered if she would be able to bake with her grandkids. Moments like baking with your kids/grandkids, or even just appreciating food as a foodie, are important to our lives. The once in a while splurge is always an option but you know where to go for that, I am here to give you some new in-between options. 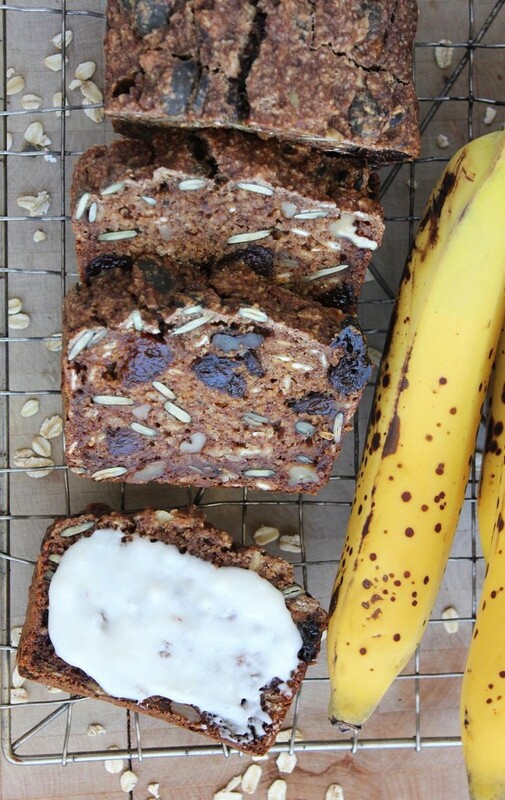 This banana bread is gluten-free, whole-grain, high-fiber, PACKED full of healthy fats and nutrients and best of all, made without refined sugar. Sounds pretty awful, doesn’t it? I totally agree, but the texture is really nice and moist, and I think it tastes just like banana bread on any health-level should taste. And best of all, it means you can bake this and enjoy it with your family with infinitely less guilt. This isn’t meant to be an all the time snack option, but certainly when you’re feeling the call of the muffin tins as we ease into fall, it is an excellent alternative. The recipe calls for 2 whole cups of nuts/seeds. I have used walnuts and pumpkin seeds (both soaked for 12+ hours), for magnesium (chilled out banana bread), omega 3 (anti-inflammatory banana bread), zinc (immune-boosting banana bread), and studied anti-cancer effects (f-cancer banana bread). Also walnuts + bananas = a good old-fashioned love story, while the pumpkin seeds make things just that much more powerful, with a laid-back flavour. I have added a large amount of prunes to this recipe too, taking things about as far away from romantic as possible. Can we call them dried plums from now on? Not that it matters once we talk about why they are in there. Either for those moments when the chemo is giving you white pasta and butter thoughts and the feeling that you may never number 2 again, or just to keep yourself regular, knowing that there may be constipating meds in your future. They actually taste really good too, they are just dried plums after all. Now for the sweet factor. 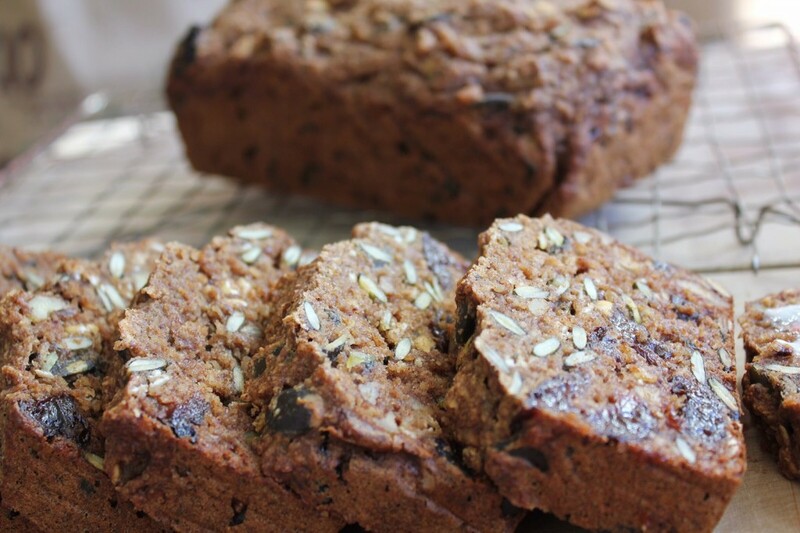 This banana bread is sweetened with bananas (naturally) and fresh dates. Yes, they contain their own sugars (as do the dried plums), but as I mentioned, this is not an all the time food, it is a replacement for something far more damaging. And these fruits are full of their own anticancer minerals, including (major) potassium, B vitamins, and yes, more fiber. (The cinnamon in the recipe helps to lower the overall glycemic index, as does fiber and fat, both of which this recipe is full of.) Although not terribly sweet, I find this recipe to be adequately sweet. 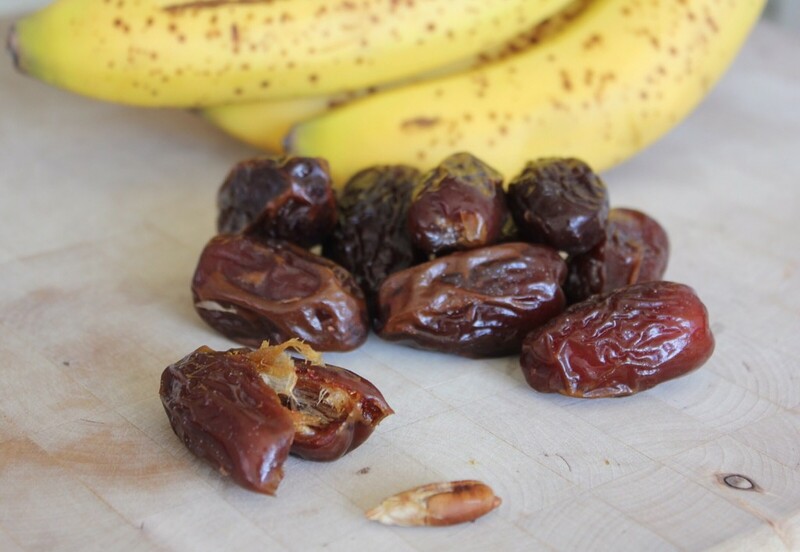 If your taste buds have adapted to a sugar-free lifestyle, scale back the number of dates used. Lastly, the oats. Oats are gluten-free by nature, but are often exposed to wheat in shared processing facilities (hardly fair). If you are gluten intolerant, there are gluten-free oats out there that have been processed in g-free facilities. It will say on the package (Bob’s Red Mill is a brand that sells them). 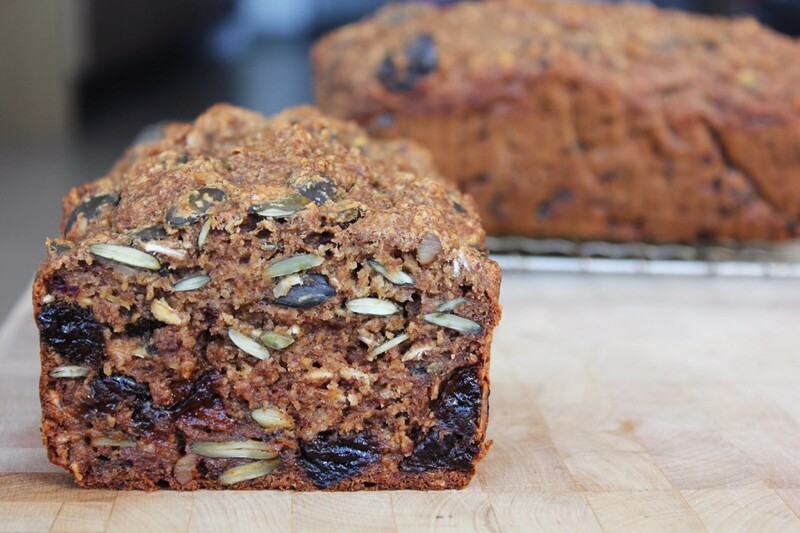 If you have a look at the ingredients in this recipe – oats, nuts, seeds, fruit –it sounds pretty healthy for a baked good. It may even resemble your morning bowl of oatmeal. The next time you feel the baking itch, walk boldly towards this recipe without feeling a hint of guilt, and enjoy every bite. Heat the ¼ c of water in a small saucepan. 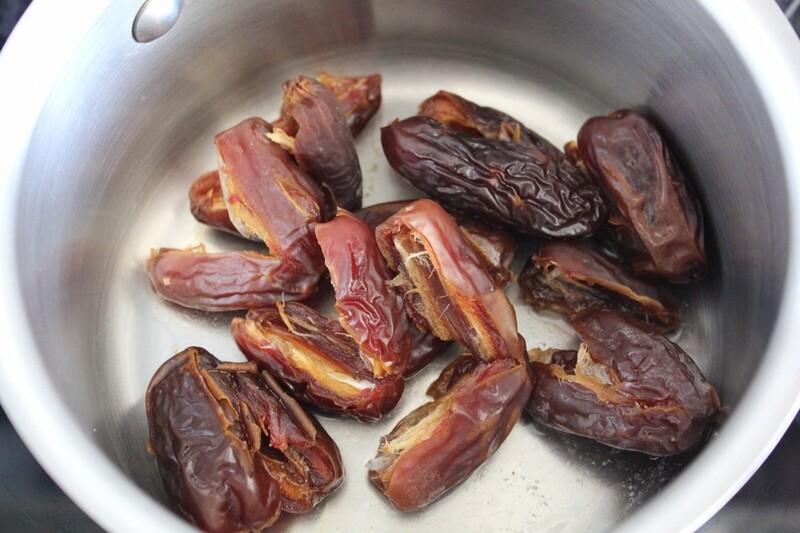 Turn the heat off, add the pitted dates to the water and put a lid on top. Let sit for 10 minutes or so (this softens them for easy blending). 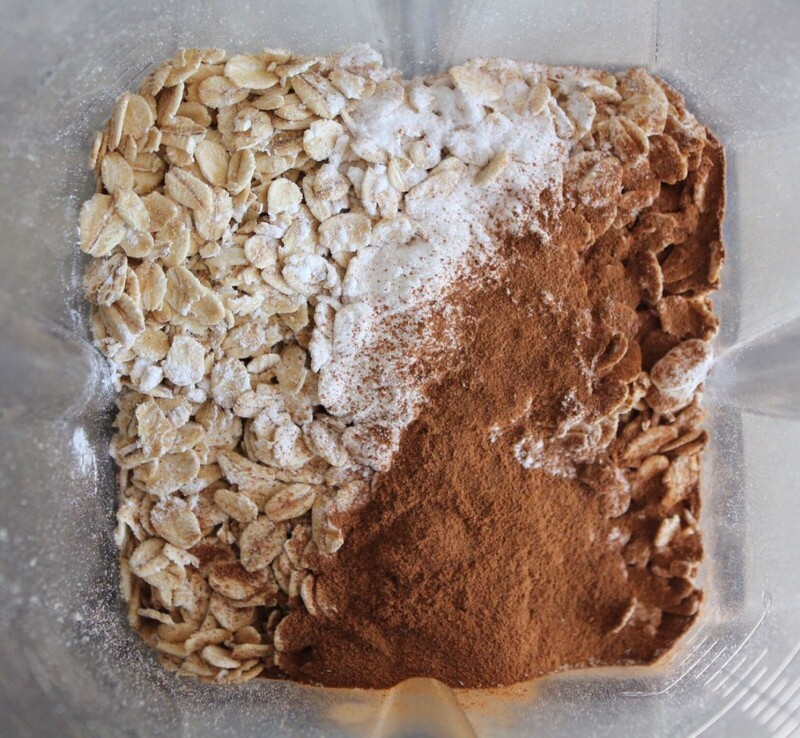 Meanwhile, blend the 2¼ c of oats, baking soda, baking powder and cinnamon in a blender or food processor until it resembles a coarse flour. Pour into a large mixing bowl and add the ½ c rolled oats. 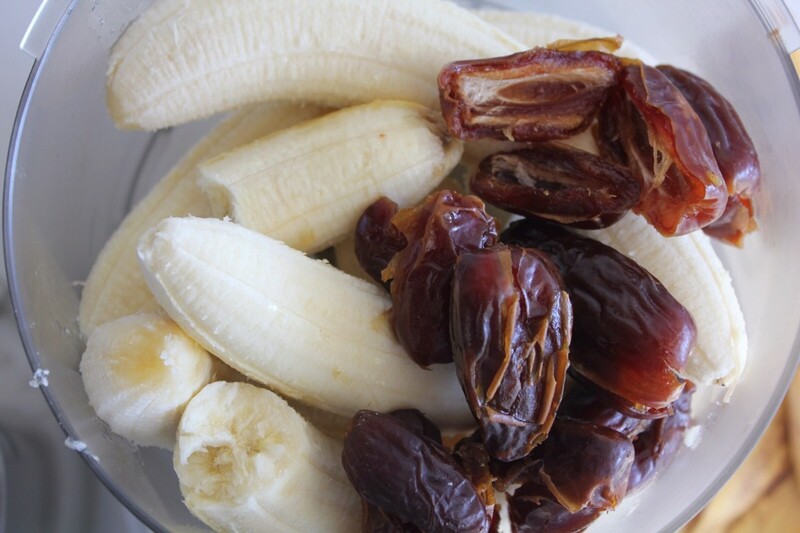 Separately, in a food processor, put the bananas, peeled, warmed dates (with any residual water), and coconut oil. Blend until smooth. 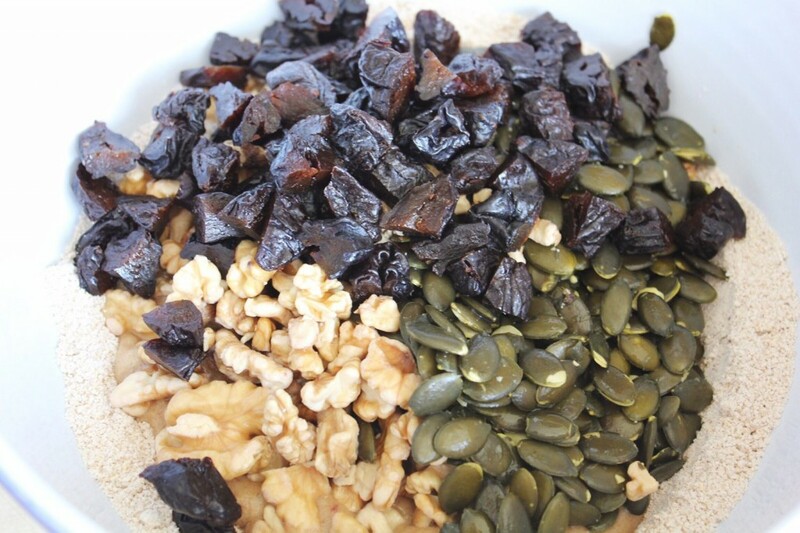 Pour into the mixing bowl with the oat mixture. 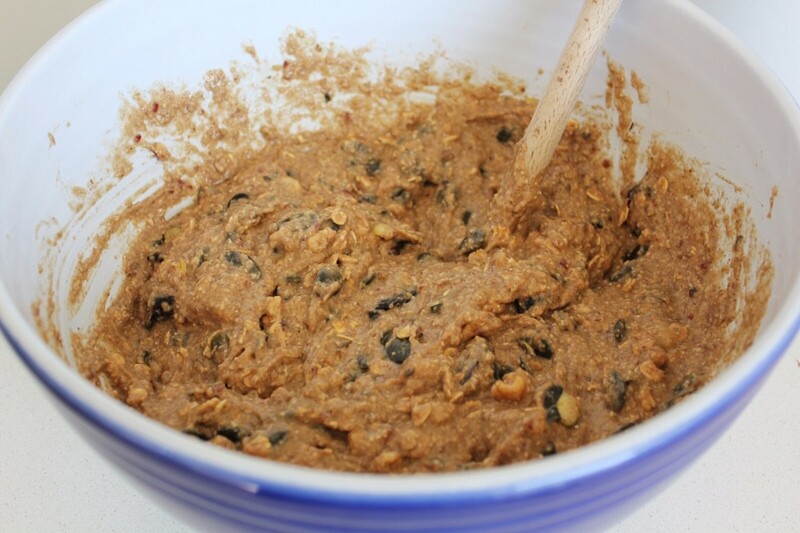 Add the walnuts, pumpkin seeds and quartered prunes. Mix together. Divide batter evenly between two parchment-lined loaf pans. Bake for 45-50 minutes or until a toothpick comes out clean. Let cool on a cooling rack. 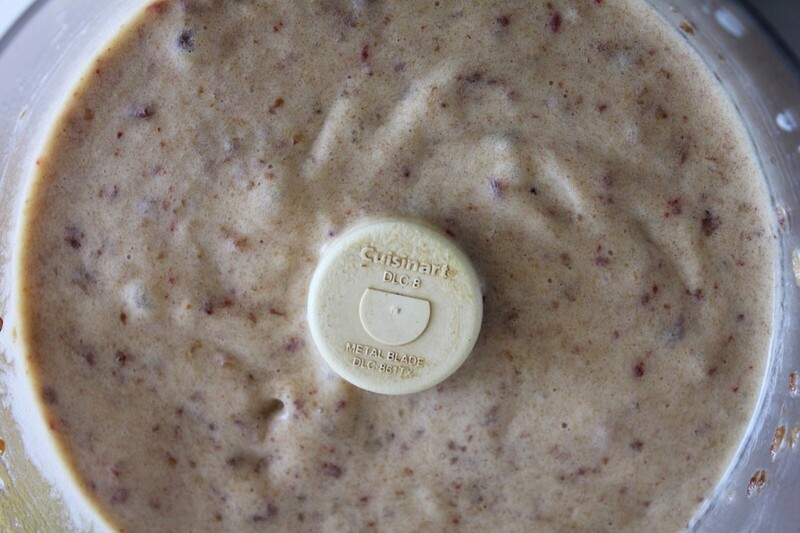 This batter can also be made into muffins and stored in the freezer. Bake for less time, until and toothpick comes out clean. Store in the fridge or freezer for optimum freshness (it's that fresh). For highest level of enjoyment, knock the chill out of it before enjoying it, in your oven/toaster oven. These are AWESOME. Yields two full loaves. They really are perfect for breakfast: I like them toasted! My roommate gets excited whenever the aroma of a couple slices of this banana bread fills the kitchen. I’m glad you like it, Julie! It’s a fave at my house too. This is the best loaf ever. So healthy and so wonderfully moist and delicious. The walnuts make it super lux. I made one loaf and seven muffins. 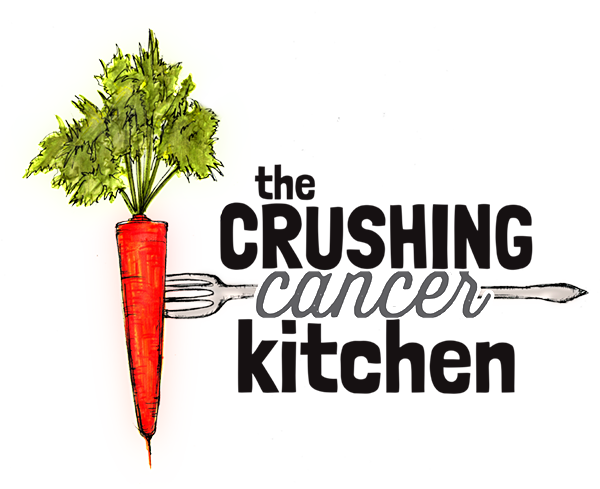 Will be making this every week for husband who had been diagnosed with kidney cancer. Lovely with almond butter too. I’ve made these about 4 times already. I make them in muffin (and mini-muffin) form and freeze them. They’re perfect for breakfast or a quick snack! Thanks for the recipe!